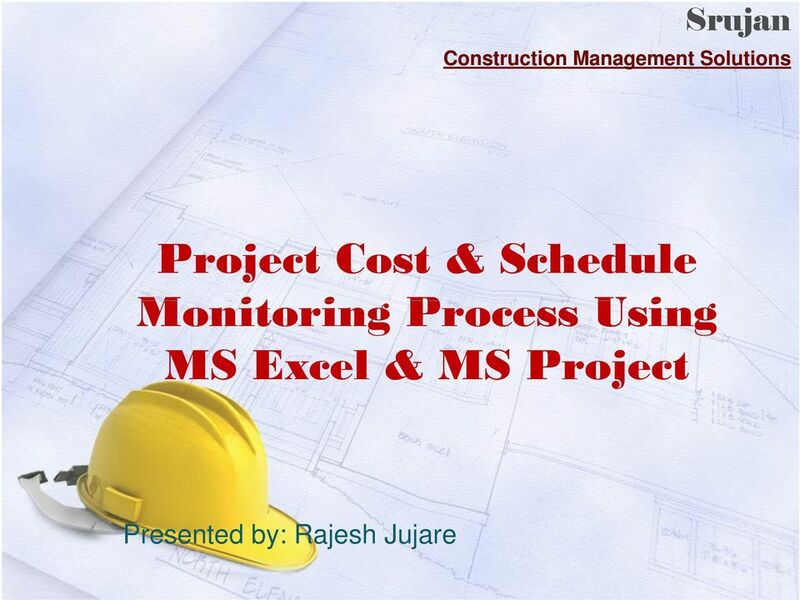 Download "Project Cost & Schedule Monitoring Process Using MS Excel & MS Project"
2 About Us Solutions is founded with objectives a. 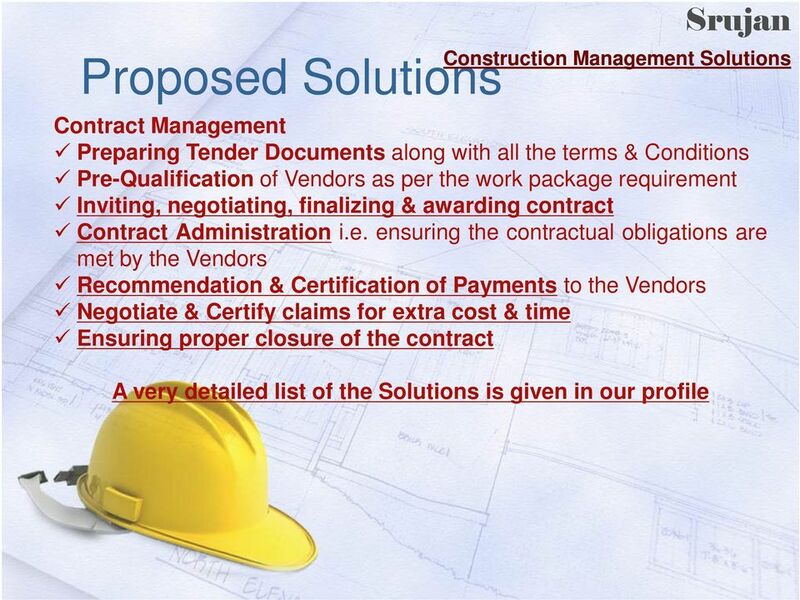 To share its expertise and experiences to overcome the challenges faced by the construction companies b. To help them to meet their ambitious goals c. To fill the gap between the Need and Availability d. To provide right information at right time to create impact through correct decision making e. Our Solutions shall be to provide the required data to our esteemed Clients by which they can create impact through their decisions. 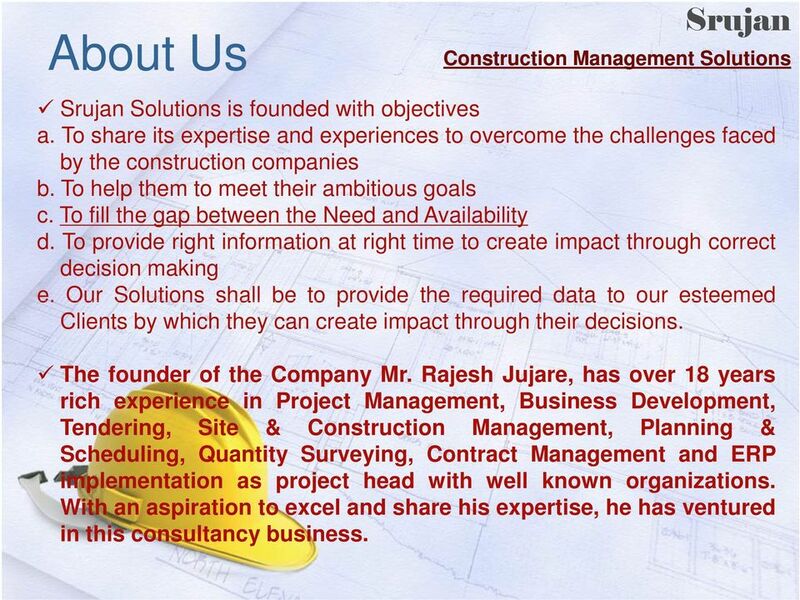 The founder of the Company Mr. Rajesh Jujare, has over 18 years rich experience in Project Management, Business Development, Tendering, Site & Construction Management, Planning & Scheduling, Quantity Surveying, Contract Management and ERP implementation as project head with well known organizations. With an aspiration to excel and share his expertise, he has ventured in this consultancy business. 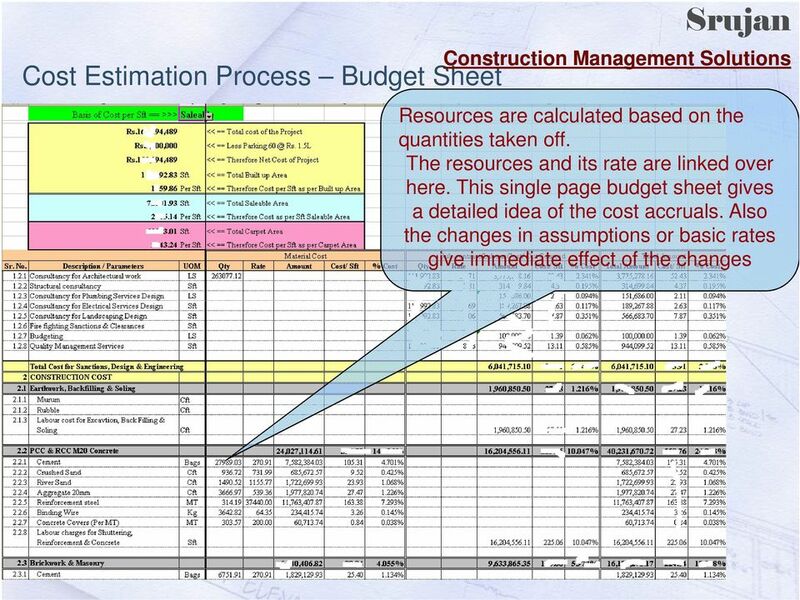 3 Advantages of Cost Estimation Solutions The construction cost shall be determined along with the design process. 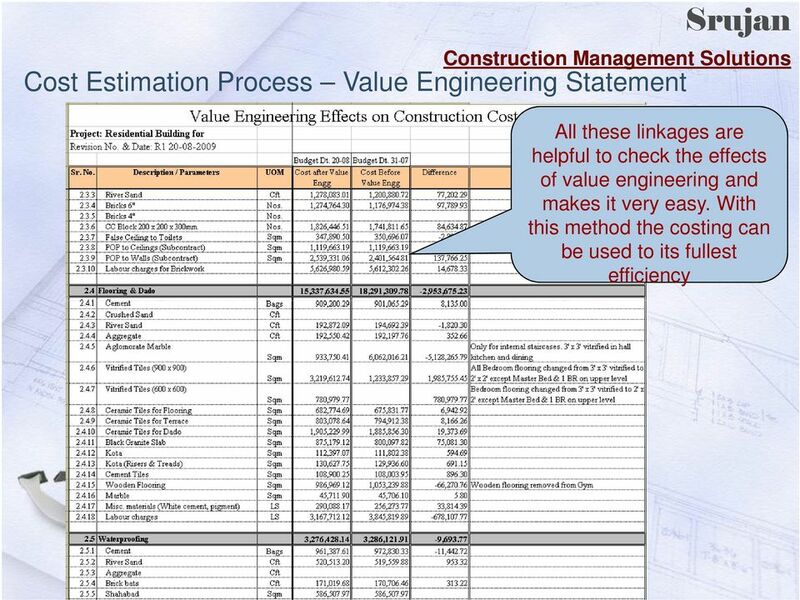 Major cost savings in construction cost can be achieved using Value Engineering techniques. Along with the cost definition, alternative materials, construction methodologies and machinery etc. 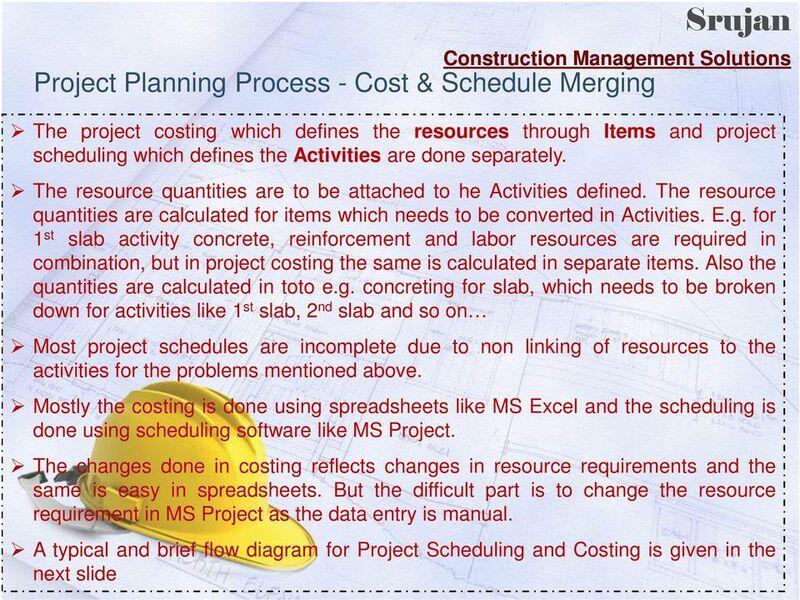 compared to achieve optimized costing. 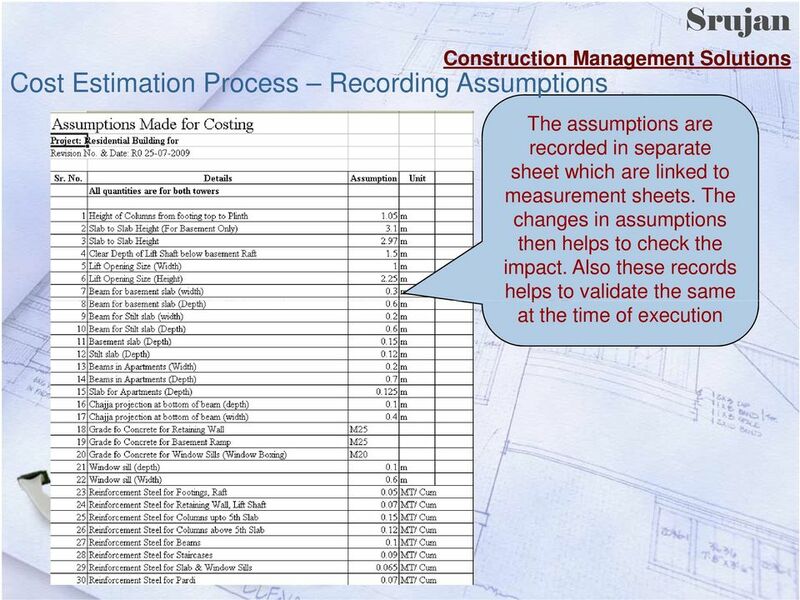 Hence lot of execution time can be saved as proper planning can be done using the well defined data. As the specifications are mostly final, bench marks can be established for quality parameter. This also saves a lot of Time and Cost in decision making. 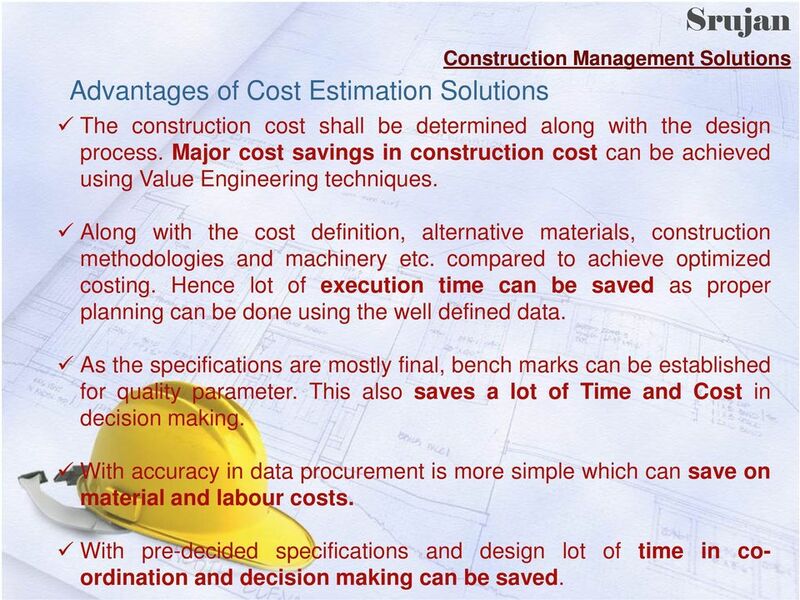 With accuracy in data procurement is more simple which can save on material and labour costs. 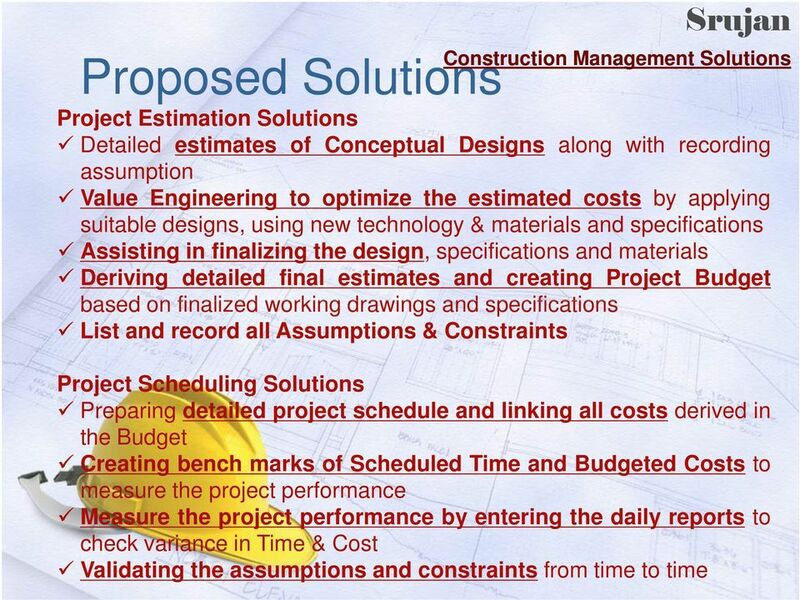 With pre-decided specifications and design lot of time in coordination and decision making can be saved. 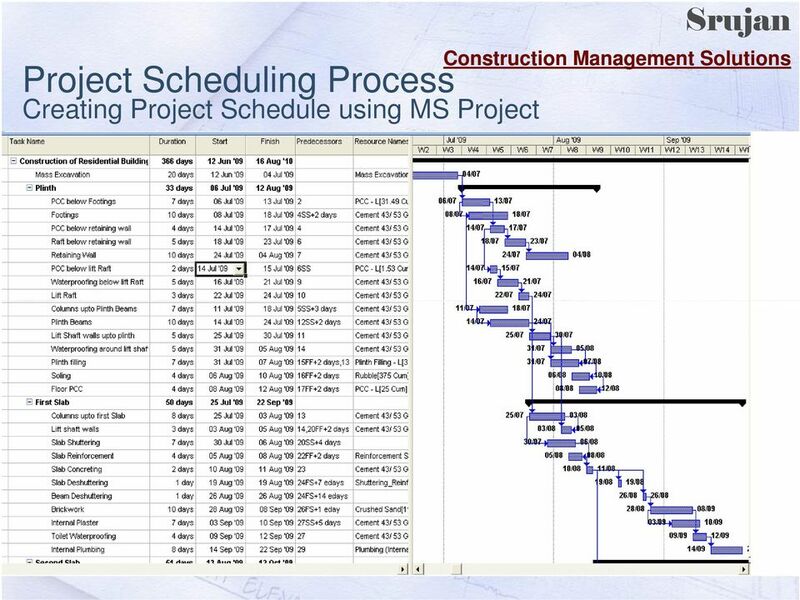 4 Advantages of Schedule Management Solutions The well planned schedule with time and cost shall serve as a bench mark to measure the project performance. 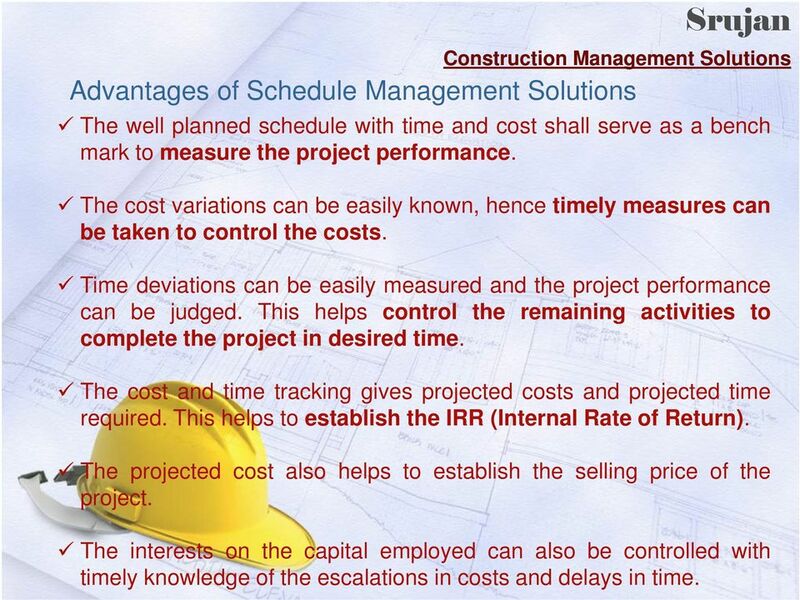 The cost variations can be easily known, hence timely measures can be taken to control the costs. 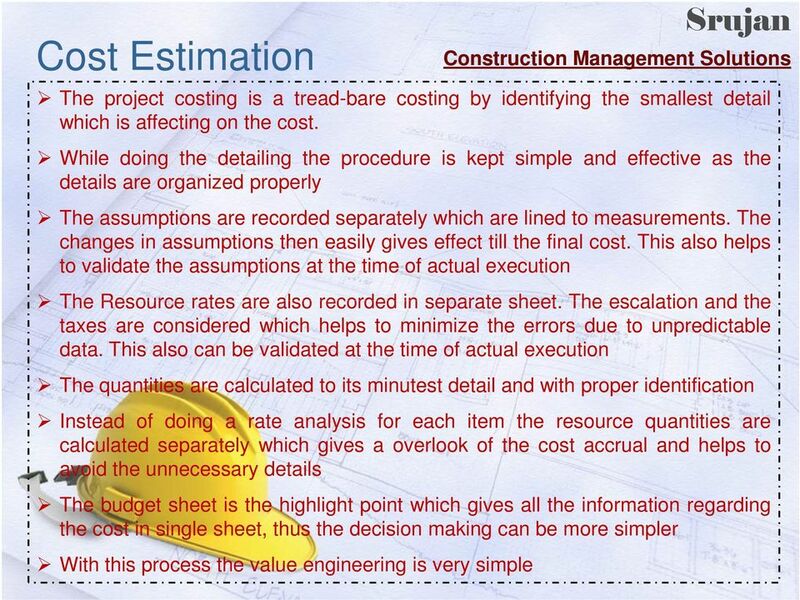 Time deviations can be easily measured and the project performance can be judged. 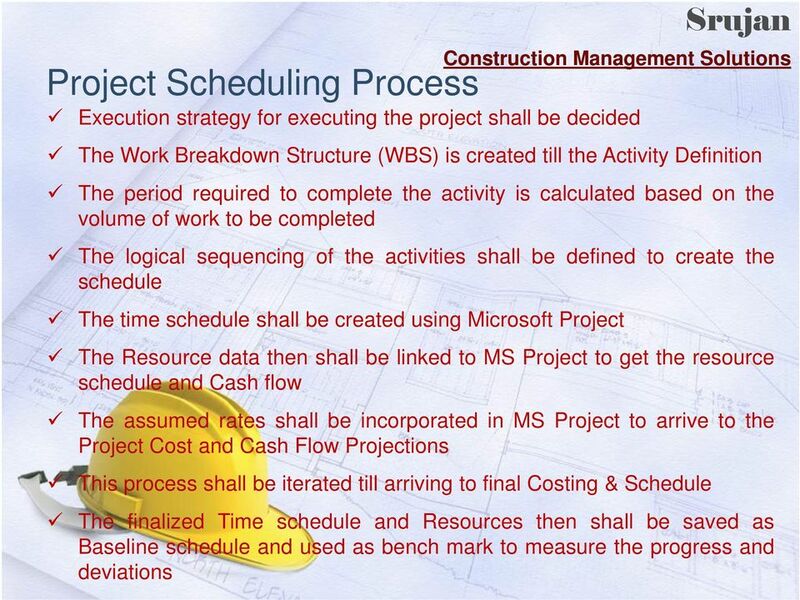 This helps control the remaining activities to complete the project in desired time. 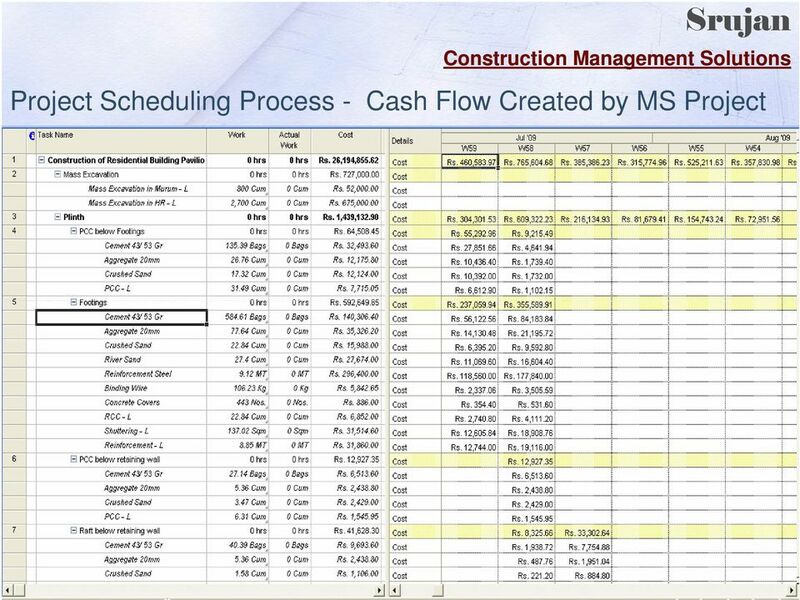 The cost and time tracking gives projected costs and projected time required. This helps to establish the IRR (Internal Rate of Return). 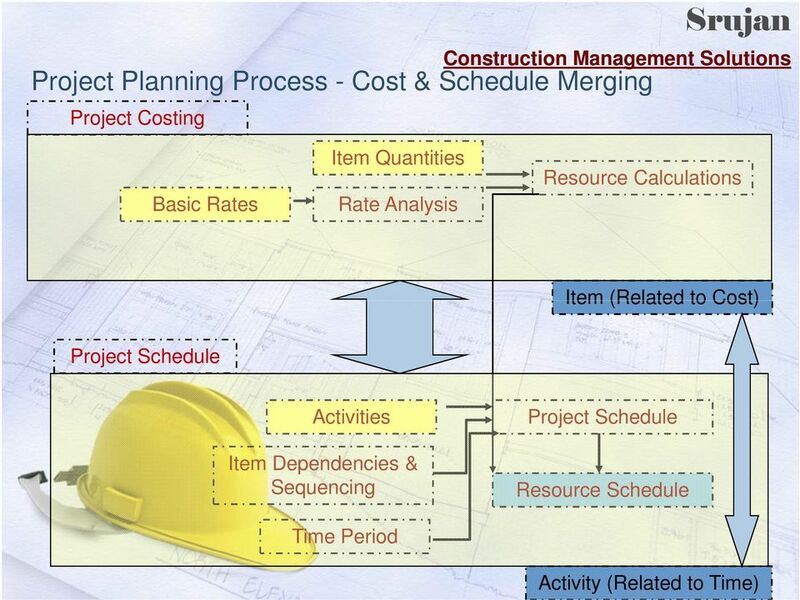 The projected cost also helps to establish the selling price of the project. The interests on the capital employed can also be controlled with timely knowledge of the escalations in costs and delays in time. 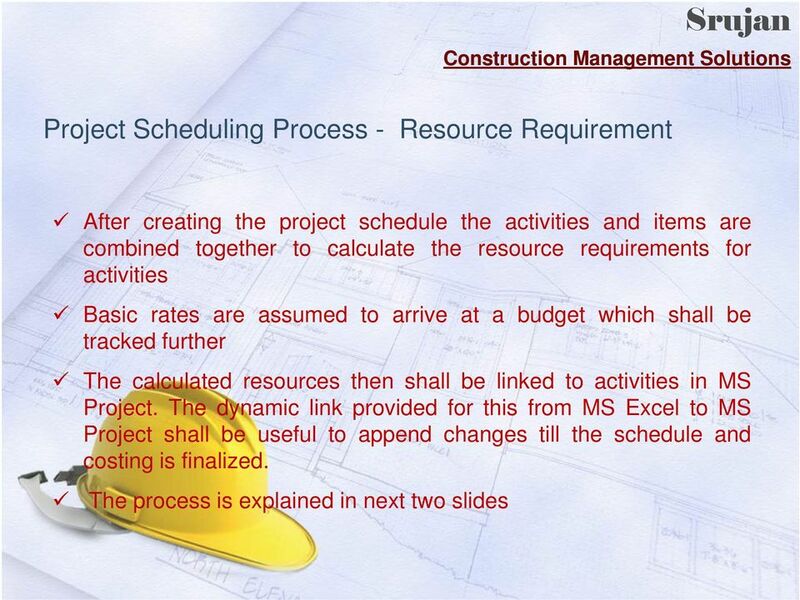 5 Introduction The project needs to be tracked on three different aspects i.e. 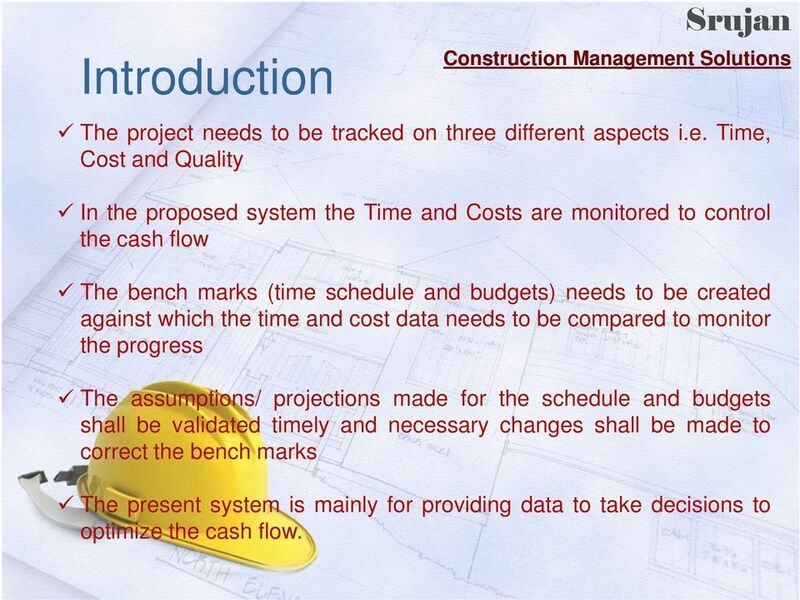 Time, Cost and Quality In the proposed system the Time and Costs are monitored to control the cash flow The bench marks (time schedule and budgets) needs to be created against which the time and cost data needs to be compared to monitor the progress The assumptions/ projections made for the schedule and budgets shall be validated timely and necessary changes shall be made to correct the bench marks The present system is mainly for providing data to take decisions to optimize the cash flow. 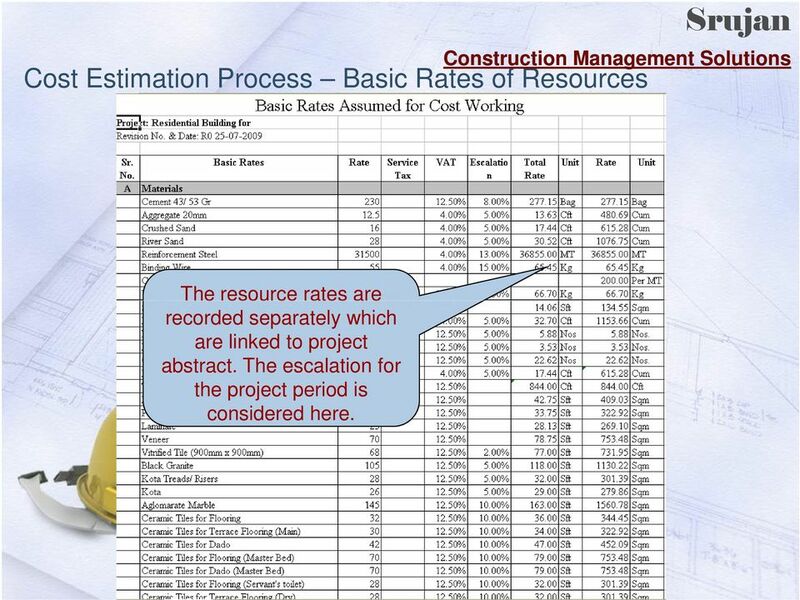 10 Cost Estimation Process Basic Rates of Resources The resource rates are recorded separately which are linked to project abstract. 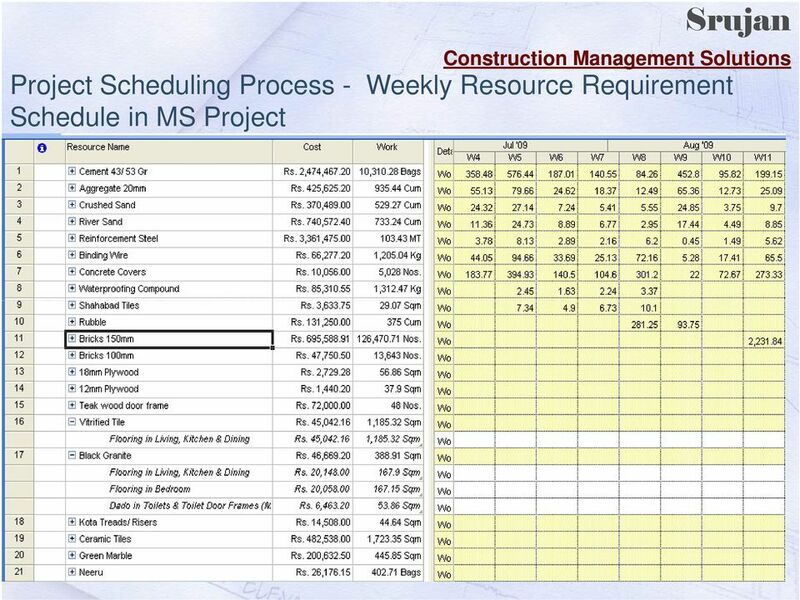 The escalation for the project period is considered here. 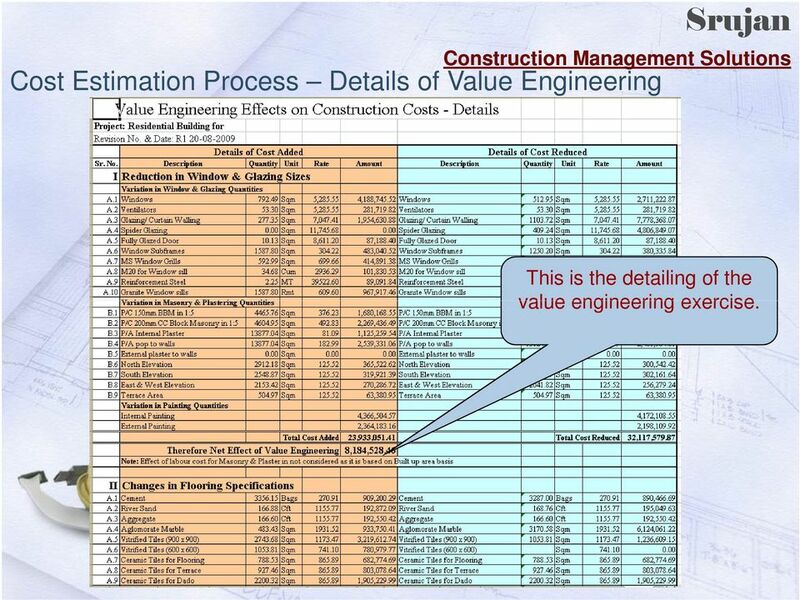 13 Cost Estimation Process Details of Value Engineering This is the detailing of the value engineering exercise. NASDAQ DUBAI TRADING AND SETTLEMENT CALENDAR 2015. 1. On US Federal Reserve Holidays, no settlements will take place for USD. Earned Value Management Tutorial Module 8: Reporting Prepared by: Module 8: Government Required Reports Welcome to Module 8. The objective of this module is to introduce you to Government required reports. Controlling the influence of foreign exchange & escalation on capital projects in the South African context ICEC World Congress Cape Town - SA April 2004 Pieter F Bouwer Strategy & Change Team Agenda 1. Guide 2: How to interpret time series data This guide explains how to collate and graph time-series market price data in order to get an idea how markets have historically functioned for particular commodities.